This innovative guide to the chakras explains how grief and trauma impacts on every level of our being, and provides the tools to help clients experiencing trauma and grief by influencing, balancing and nurturing the chakra system. The book provides thorough and clear explorations of each chakra, their connections to each other, and tantric ways of working with energy. 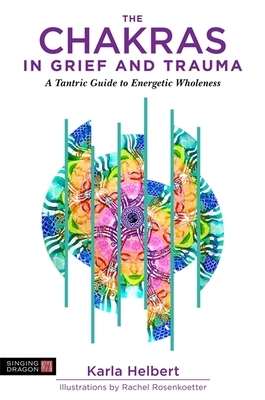 It features over 100 expressive and experiential exercises to remedy the ill-effects of grief and trauma, including yoga poses, mudras, pranayama (breath exercises), journaling, creation of ritual, use of essential oils and crystals and stones. Drawing on expertise as a licensed counselor, psychotherapist and yoga therapist, and personal experience as a bereaved mother, the author shares the teachings, practices and philosophies of yoga's ancient wisdom in a new way, and shows how to sustain personal chakra balancing that will resonate through all areas of life. Karla Helbert is a registered and certified Integral Yoga(R) teacher as well as an internationally certified yoga therapist (C-IAYT). She is also a bereaved mother and a licensed professional counsellor.